Your business is your lifeblood and you want to expand in the realm of the world wide web. To do so, you need SEO. Whether it’s an SEO firm, SEO agency, or SEO company, you’ll not be able to compete without one. 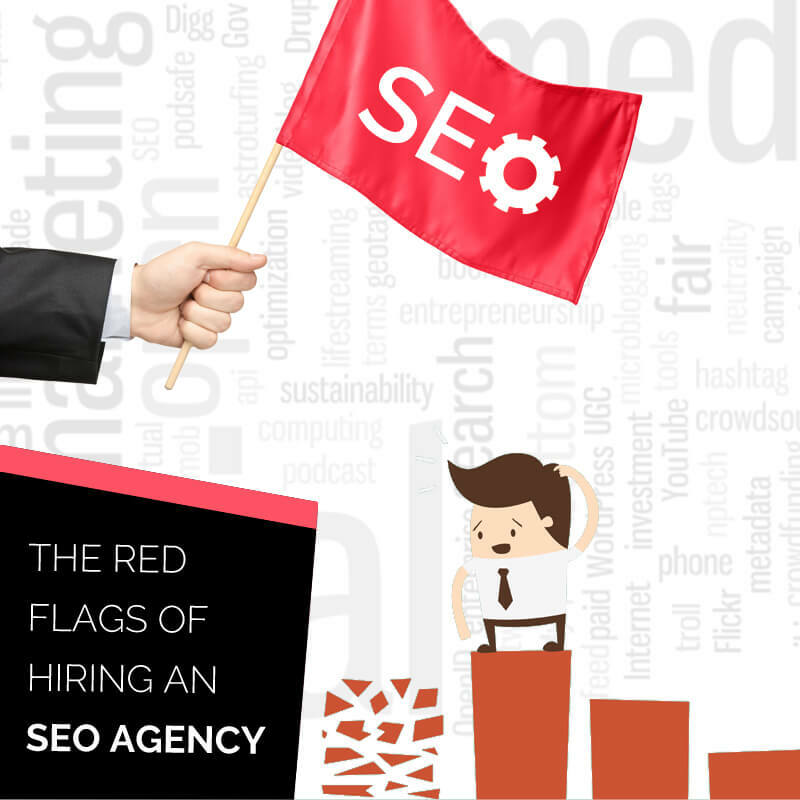 That being said, finding just the right SEO company calls for knowing the red flags that are raised. Being aware of these red flags will save you a great deal of misery and money overall. First thing, any SEO firm that tells you they will guarantee a first page, first top listing on Google is lying through their teeth. There is no way they can do that without charging and exorbitant amount of money and moving impossible influence. It’s just not going to happen. The only way it can is if your niche is so brand new, never before heard of and you’re the first to start marketing. SEO agencies that make these claims are only out for one thing, money. They prey on the enthusiastic and tech ignorant public and skirt the law at every turn. A real SEO company is going to be realistic and tell you the challenges ahead, how to minimize risks but maximize gains through precise procedures. They’ll emphasize that it takes a great deal of responsibility on both your parts to establish and maintain your SEO strategies as it can take a while before seeing promising results. This all falls under the “too good to be true” category. You see their ads telling you about how successful they are, the sites they’ve made famous and so on. However, when you ask for the raw data and statistics to back it up, they get shake and claim that their methods are ‘secret’ and ‘proprietary’. That may be so, but there’s got to be accountability with verifiable data to validate their claims. Any SEO firm that skirts this issue should be brushed aside and you should keep on going. A major issue to watch out for is the deceptive or “Black Hat” talk. These are techniques and strategies that are both illegal and unethical. These people go to great lengths to circumvent the honest ways of doing SEO and thus undermine honest efforts. They might get you a higher ranking and fast, but the payoff is getting banned by Google perhaps forever. Don’t risk working with the unscrupulous. They’re a liability that you may not be able to scrape off your shoe. Basically, when searching for an SEO company, you’re looking for professionalism from top to bottom. They’re courteous and open, they take the time to explain things to you and don’t try to overwhelm you with technobabble. They should establish that this is a delicate procedure and set of protocols that must be followed for the long term. There is no overnight success with this stuff and any SEO agency that says otherwise is acting fraudulently. A real SEO company will take you by the hand, show you what they do and what you need to do. Those baby steps are paramount to establishing a solid SEO foundation for your site. Do it right from the start with the right people, and you’ll meet your SEO goals.